Today we’re going to take a look at how to Setup and Install WordPress on Google Cloud – Google Click to Deploy, configure OpenSource SSL, and enable essential services through Debian CLI to keep WordPress Instance streamlined. 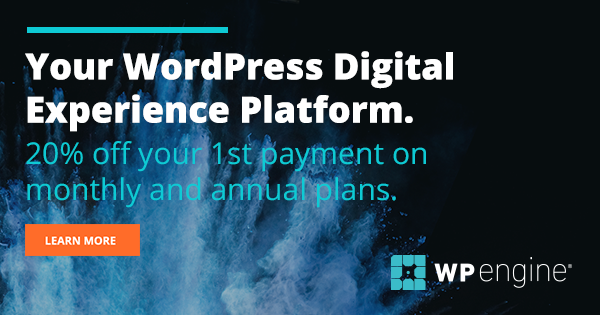 Deploy WordPress & Configure Instance. After creating a project, Let’s Click on Go to Cloud Launcher and select WordPress Google Click to Deploy on next page. Enter Deployment Name – Deployment name can only contain lowercase characters, numbers or dashes. It must start with a lowercase letter and cannot end with a dash. Enter Administrator Email – This email will be used if you need to reset your password. Firewall – By default, all incoming traffic from outside a network is blocked. Select the type of network traffic you want to allow. Learn more Check both Allow HTTPS & HTTPS Traffic. Finally, Click on Deploy and Wait for Google to generate IP Address & Credentials for your WordPress Instance. Furthermore, Login to your Domain Control Panel, Navigate to DNS Zone and update the IP address for forwarding in 3 simple steps. Host Name – Enter the host name the A record links to. Type @ to point the record directly to your domain name, including the www. TTL – Select how long the server should cache the information. Note: It should take a few minutes for DNS to propagate. However, you can expect a propagation time up to 24 hours. This is because it takes time for the DNS to take effect across the internet. Make use of DNSChecker to check DNS data collected from all location for confirming that your domain is completely propagated or not worldwide. Once you know that the Domain is propagated. You need to update domain name in WordPress Dashboard. Simply, Go to Settings, Click on General & Replace IP Address with Domain Name. After Saving Changes, your domain name will be updated and you will be redirected to new WordPress Login page. HTTPS protects the integrity of your website. HTTPS helps prevent intruders from tampering with the communications between your websites and your users’ browsers. Intruders include intentionally malicious attackers, and legitimate but intrusive companies, such as ISPs or hotels that inject ads into pages. In the next few steps, I am going to show you how to set up and configure LetsEncrypt, Certbot OpenSSL certificate. Run following commands in Terminal for generating SSL certificates and redirecting site from HTTP to HTTPS. You can directly install a Certbot package on your Instance from Github by running the following command. Enter Domain Name for SSL Configuration. Apache will Restart after the command is executed. Remember Pages/Posts may return 404 Error after deploying SSL on your WordPress Instance. It’s common and in my experience one of the best things that can happen because you get to learn throughout the process as a beginner. Learn how you can fix 404 Error by clicking here. Configure Certbot to Auto-Renew LetsEncrypt SSL. Now that we have Setup LetsEncrypt SSL, we need to configure Certbot Auto-Renew script to ensure that our Website always redirects to HTTPS. We have deployed Certbot in the home directory, Lets, go back to Terminal and locate Certbot-Auto Package in Certbot folder. re-download Certbot Auto-package and verify that it has been installed properly by executing the ls command to view the package. Next, we need to edit Crontab file. You can open your crontab file by executing the following command. At the bottom of your crontab file, you will enter a script which will tell your server to check for certificate renewals once per week and to automatically renew the certificates if they are about to expire. If you are working in the field of Cloud computing or interested to learn, i’ve got a practical read for you about getting certified from Google Cloud in 2019. I’ve also got this Data Science newsletter that you might be into. I send a tiny email once or twice every quarter with some useful resource I’ve found. Don’t worry, I hate spam as much as you. Feel free to subscribe.